The students’ wing will have ten general secretaries, nine secretaries and six organising secretaries. 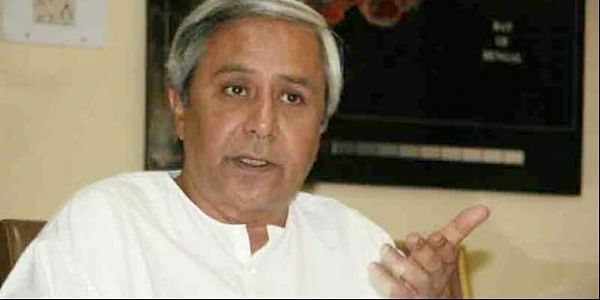 BHUBANESWAR: Even as the political atmosphere in the State is charged up in view of the national executive meeting of the BJP commencing on Saturday, Chief Minister and BJD supremo Naveen Patnaik on Friday made organisational changes by recasting the youth and student wings. Minister of state for food supply and consumer welfare Sanjay Dasburma was replaced as the president of the Biju Yuva Janata Dal (BYJD) after nine years. Vice-president of the BYJD Amaresh Patri has been appointed as the president of the youth wing. Four BJD legislators, Byomakesh Ray, Pranab Balabantaray, Anubhav Patnaik and Manas Madkami have been appointed as advisers of the BYJD president to give the youth wing a new orientation. Announcing the organisational changes, BJD vice-president Surjya Narayan Patro said Sanjit Mohanty and Sisir Parija have been appointed as the working president and secretary general of the BYJD respectively. Patro said vice-presidents, general secretaries, secretaries and zonal presidents of the BYJD will be announced soon. The Biju Chhatra Janata Dal (BCJD) has also been overhauled. Rana Pratap Patra, president of the Bhubaneswar unit of the BCJD has replaced party MLA Byomakesh Ray as the chief of the students' wing. Ray was the president of the BCJD for the last five years. Patro said while Chinmay Sahu has been appointed as the advisor of the BCJD, Debi Ranjan Patra will be the new working president of the organisation. The BCJD will have six vice-presidents, Dhanjaya Rao, Abinash Patel, Rajesh Swain, Velmon Nair, Ipsita Sahoo and Stitha Pragyan Sahu. Besides, Hari Shankar Raut has been appointed as the secretary general. The students’ wing will have ten general secretaries, nine secretaries and six organising secretaries. Zone presidents have also been appointed for Sambalpur, Berhampur, Balasore, Cuttack and Bhubaneswar. Patro said the organisational changes have nothing to do with the national executive of the BJP which will have no impact on the BJD.